Home Tags Articles tagged with "Constable"
Three men are campaigning to be the next constable of the Maricopa/Stanfield Justice Court. Republicans Bill Griffin and Glenn Morrison meet in the Primary Election, which is Aug. 28. The winner will face off with Democrat Andre LaFond in the General Election in November. 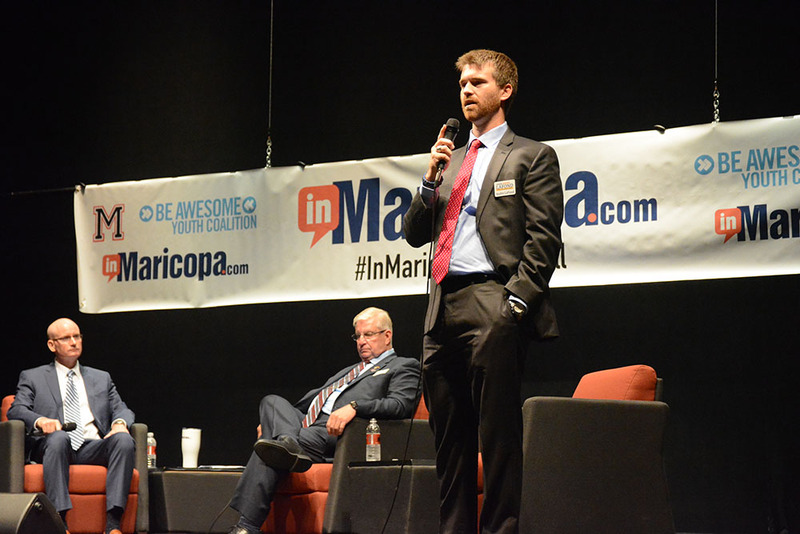 All three men will be among participants in the InMaricopa Town Hall scheduled for Aug. 4 at Maricopa High School’s Performing Arts Center. Learn more about them below. What are your qualifications to be constable? Honesty, morals, integrity. Those are the foundations of trust. I have 25 years of service as a full-time deputy sheriff. I come from a long line of law enforcement officers, including my father, both of my grandfathers, great-grandfather and great-uncle. I am uniquely qualified to be the next constable because I have the experience, values and character needed for trust in public service. What is the most important function of the constable? The Constable is responsible for serving and executing legal papers issued by the Justice Court. We need someone who is committed to public service, not politics. You need to trust the people you elect. The courts need people they can trust. The constable needs to do the job and do it right. I have the honesty, morals and integrity to do the job right and be committed to this community. Why do you want to be constable? I have a commitment to serve the public with honesty and integrity. I’ll never forget the look on the faces of the judge and jury the first time I testified in court. The importance of my word as a peace officer was evident. The same applies to the constable – truth makes all the difference in the world for those using our court system. I want to serve the public and bring integrity back to this office. I have been extensively trained in conflict resolution and de-escalation while serving for seven years as a volunteer Sheriff’s Office member. I have learned through lifelong experience in business management and law enforcement that it is vital to communicate respect and compassion for all individuals. Therefore, I am uniquely qualified in communication, cooperation, team building and public safety. The most important aspect of the job will be to gain the public’s trust. Constables are public servants and peace officers who must be meticulous in their duties. Executing the duties of constable as defined by law, tempered with compassion and respect, is paramount. I truly believe we should all make a contribution, and this is the role I am seeking. 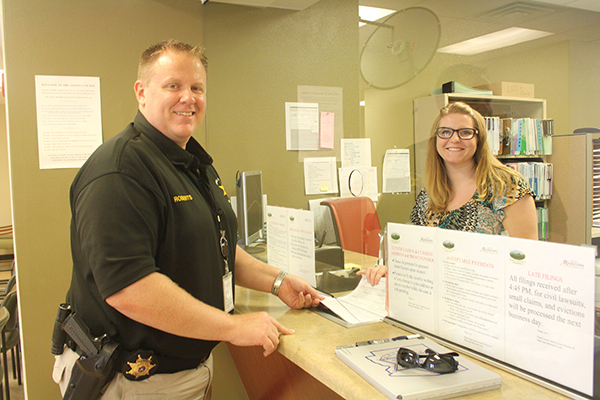 I volunteer hundreds of hours each year with the Sheriff’s Office and with other organizations because community service is very important to me. The office of Constable would be a natural progression of my skills, experience, and passion to serve my community. I am an Eagle Scout, Army veteran, and have spent the last 14 years in private law enforcement. I am trained and experienced in conflict de-escalation without the use of force. As a private law enforcement professional, I must deal with varied situations and dangerous persons in public. The constable is charged with the duty of issuing out orders of protection. These must be professionally and safely handled without delay as the safety of others may rely on it. This is a vital service for the community. It’s important to me to be of value to the community. It’s why I joined the Army, why I’m in private law enforcement, and why I want to bring my skills and experience to the Office of Constable. I believe that my background and temperament best fit this position.